Can one solar panel power the world? From the destruction of the forests to build our homes and clearing for agriculture, and out of the use of fossil fuels to power our lives has come climate change. One of the most impactful ways we contribute to the rising temperature of the planet is through burning fossil fuels. For around 200 years humans have been exploiting energy-dense fossil fuels as the main driver for economic growth. Currently, around 80% of the world’s total energy consumption is derived from fossil fuels, and a poor 12.5% from renewable resources. 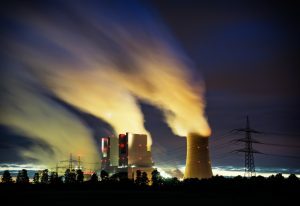 In addition to the pollution, environmental and health damage, fossil fuels cause, scientists estimate that their reserves will last another 70 years at the rate they are currently being consumed. We need another fuel solution. The solution is solar energy, sustainable and totally inexhaustible. Sunlight hitting the earth provides 7000 times more energy than we use globally at present. Wouldn’t it seem a waste not to maximise use of this powerful, sustainable source? Solar power is generated when energy from the sun, radiated as light and heat, is converted into electricity. It is the best source of renewable energy as sunlight has by far the highest theoretical potential, making it the most energy efficient and cost-effective renewable energy source. The maximum conversion efficiency for sunlight into useable electricity is 93%. The current most common solar cells are made out of silicon because of the combination of their high efficiency, low cost, and long lifetime in comparison with other solar cell materials. Although they are highly efficient in regards to different solar cell materials their maximum efficiency is still quite low at 32%. This is mainly due to its ability to use 50% of the sun’s spectrum and its limited band gap (1.1 eV), a higher band gap (of 1.3 eV) would have a higher efficiency according to Shockley-Queisser limit. Solar cells contain materials with semiconducting properties in which their electrons become excited and ‘turn’ into an electrical current when they absorb sunlight (photons). Enhancing the efficiency of photovoltaic devices is currently a huge area of research, and increasingly important in fighting climate change by reducing global use of fossil fuels. So, coming back to our original question. Can one solar panel power the world? 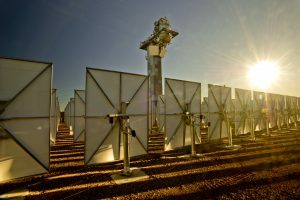 Scientists have suggested that a 500 km by 500 km squared solar panel, most likely located in central Australia (for space and sunlight exposure), can supply the whole world’s energy needs. This single solar panel providing a whopping 16 terawatts of power. If a single solar panel can indeed power the world, why not construct it? The matter is predominately an economic challenge, a matter of payback. Although one of the more cost efficient materials, silicon solar cells are still energy intensive and expensive to produce. There are many additional costs including other necessary materials such as the mounting and cabling as well as labour costs to set up the solar cell. The amount of produced energy required to compensate for the building, running and upkeep costs are not worthwhile for investors to invest in. Additionally, the distribution of the energy world-wide as well as energy storage is inefficient; making a single solar panel an impractical solution. However, this example demonstrates that it is possible to power the world through solar and widely distributed solar panels are the answer. Solar energy is the future sustainable energy source for the world. Reducing energy payback and making solar cells more portable is very important as well as continuing the push for better efficiency. Next Next post: No joking, A robotic comedian is coming ! Yes, thats right Ruoyu. The maximum efficiency of silicon cells is 32% and yet this is the theoretical maximum. The current silicon solar panels in use around the world would be of considerable less efficiency, due to cheaper materials such as less pure silicon which would reduce efficiency. Similar to your organic solar cells, commercially available multicrystalline Si solar cells are around 14-19% energy efficient! Hi Madeline, this is a good idea. My research focuses on organic solar cells and the best efficiency is only 13.1%. The organic solar cells have potential low cost and flexible substrates. I guess if we can enhance efficiency of them, maybe the idea of your blog can come true. I agree on the multiple sources. I think another reason is the energy density. If we only use the solar power which has low energy density, the civilization of human being may start to become a involution civilization. The development of human beings is also a process of increasing the density of energy and find energy source with high density. The Song dynasty in Chinese history have already discovery coal to replace woods as a higher energy density source of power. However, after the economical central of Song dynasty has move to the area without coal. The civilization start to become involution. The culture was getting more and more exquisite and complicated but the development of technology was stopped. This fact contribute to the end of the dynasty finally. An interesting idea! I can’t even fathom how big 500 square kilometres is. It would certainly be cool to live in the country supplying all the world’s energy, but as you say rather impractical. Good point Jethro. I agree that it is wise to use a variety of renewable fuel sources. 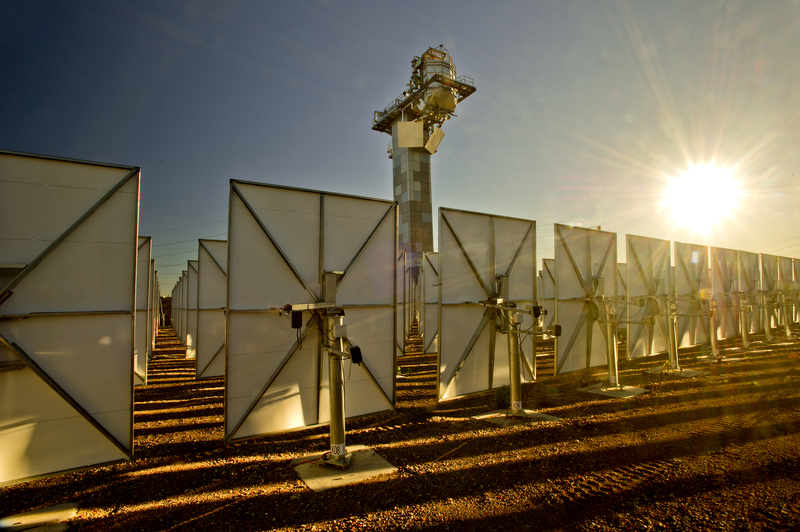 This post is emphasising that solar energy is the most preferable renewable source. Additionally, although one panel for the whole world is impractical you can have solar farms in Northern Africa or Southern Europe, countries wiht plenty of annual sun, for example that can provide enough power for countries that do not receive a lot of annual sun, such as Scandinavian countries. Thanks for your comment. Hi Madeline, interesting blog. I think it is a better to have variety energy sources that are located dispersedly in different areas because relying on one source in one area is not wise. Sun is an intermittent source of energy ( not continuously available) therefore it’s better to rely on other sources as well, such as wind and hydro. These sources need to be located in several areas.